When people ask you, ‘what you do’, how do you answer? Who or what are you presently inspired by— are there particular things you are reading, listening to or looking at to fuel your work? 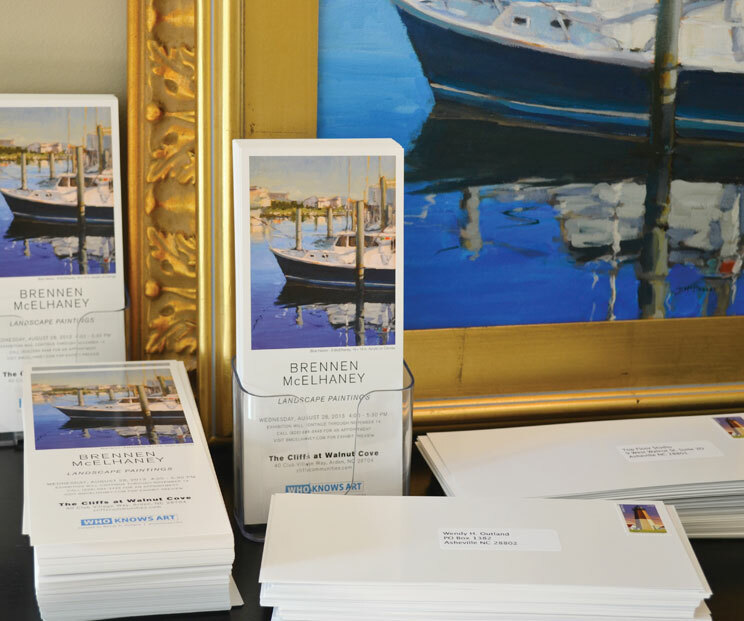 Lately, I have been inspired by the artwork of David Shelvino, Jennifer McChristian, Terry Muria, James Crandall and Anne Blair Brown. The last book I read was Eat That Frog by Brian Tracy. I’m currently reading Buying In by Rob Walker. Family seems to be important to you, tell me about that. My wife and I have tried to arrange our lives to reflect our values. Our move from California to North Carolina in 2005 was very intentional and allows us to do more of what we want to do. We homeschool our kids. I am blessed to work at home and earn enough that my wife doesn’t have to have a job. We spend a lot of time together as a family and we like it that way. Do you have any favorite art quotations? Do you listen to music when you work? If so what? I usually don’t listen to music while I paint, but when I do it’s all over the map. More often I listen to audio books or podcasts (currently listening to 99% Invisible). 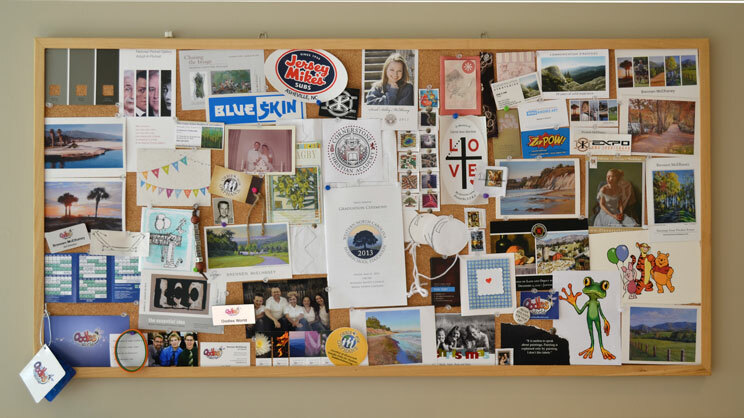 What are the most meaningful things on your bulletin board? • The “L-O-V-E 4-Ever” sticker was done at the request of a dear friend and neighbor, Carol Horton, who died in July 2012. The stickers were given out at her memorial service. • Grade school photo of my father. • The photo of my mom and dad at their wedding. • My daughter’s high school graduation announcement. How would you describe your subject matter or the content of your work? What themes seem to occur/reoccur? 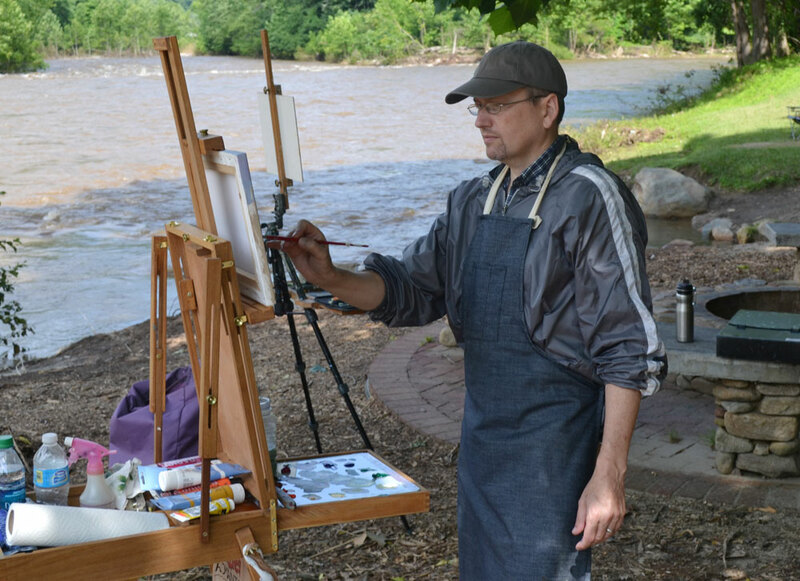 Recurring subjects in my paintings are mountains, rivers, lakes, trees, cityscapes and architectural elements. Occasionally figures appear in my scenes. (I think I’d like to paint people more often.) Of course, scenes that are associated with good memories are attractive subjects. I’ve done a number of paintings from family vacations. From an abstract/design sense, I am attracted to elements that create the illusion of space and shape: I look for foreground, middle ground and background elements, aerial perspective (the tendency for things to appear lighter in value and cooler in temperature or less saturated as they recede into the distance) and lost and found edges. I like the play of different lighting effects on different surfaces (Think afternoon shadows.) Also, I’m on the lookout of chromatic light bouncing unexpectedly into a shaded area. 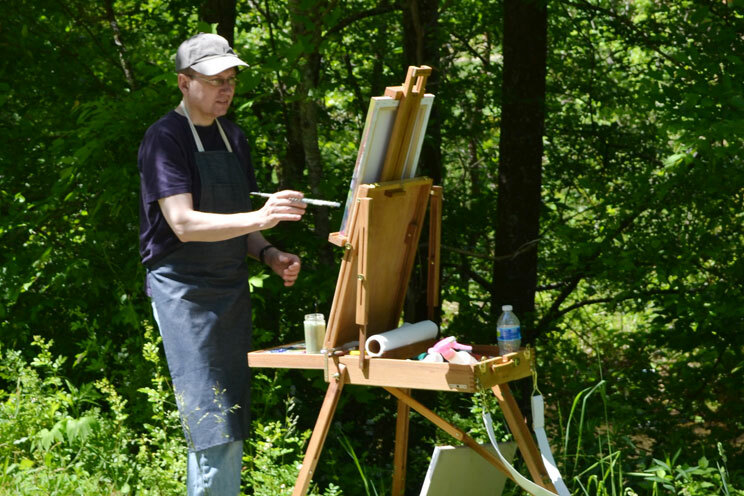 When painting I primarily work with acrylic on canvas or acrylic on watercolor paper that’s been primed with gesso. I also love drawing so I’ll use graphite or ink on paper. How predictable is the outcome of your work? In other words, do you know what the finished product is going to look like when you start, or is there a process of discovery along the way? In the sense that my work is representational, I do have a pretty good idea of what the finished painting will look like based on my subject. However there is an undeniable dialogue and negotiation that goes on between artist and artwork in its creation. There are undoubtedly abstract considerations and discovery in the process. 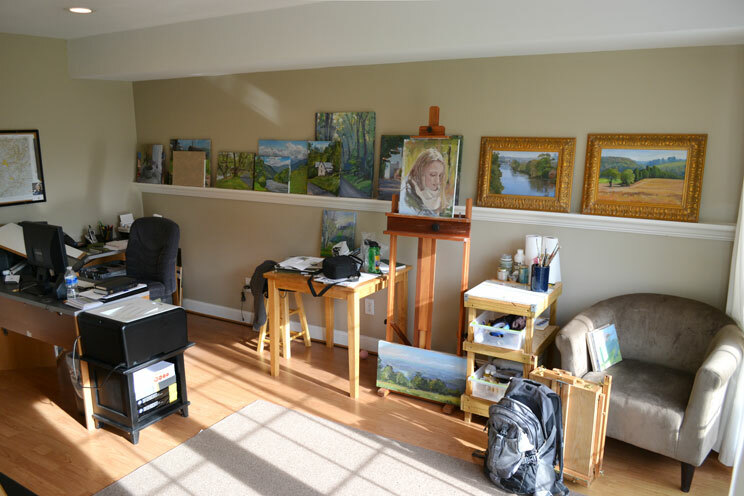 Do you consider your work abstract or representational? Well, both. My work is primarily representational, but there’s so much more to artwork than just being able to identify what it depicts. 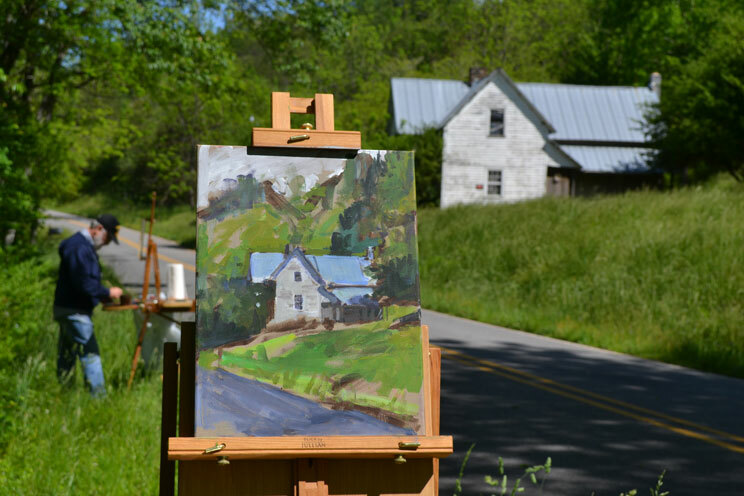 As a painter, I would classify myself as realist/impressionist. 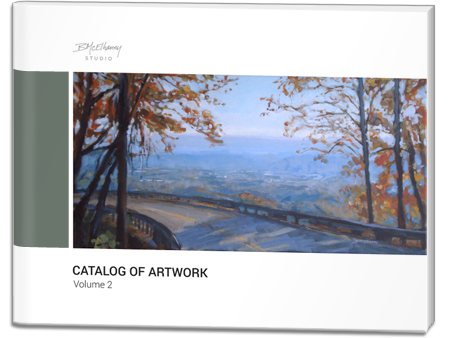 Get my Catalog of Artwork and be the first to see new paintings!